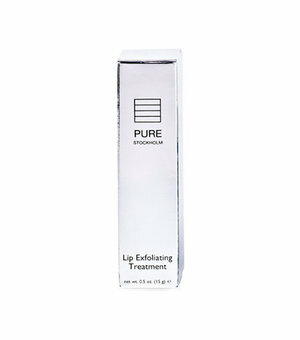 A dual active lip treatment that sloughs away dry skin cells from lips by gently dissolving dull skin cells without abrasion. Moisturizes lips while increasing circulation. Contains Mixed Fruit Acids for gentle AHA exfoliation & smoothing. Suitable for all skin types follow with lip moisturizer. Not recommended for very sensitive skin due to its AHA exfoliating properties.